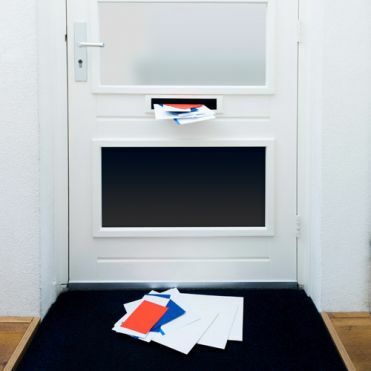 We have a very comprehensive range of Privacy Window Film products to help solve all your glass privacy-related issues. Perfect for bathrooms, home or at your place of work. Privacy films can also hide unsightly views or simply to jazz up your windows and doors. All our window films are easy to apply and can be purchased by the metre, or cut to size. Not sure which film is the right one for you? Please read more or click on the images to find out more. Makes your glass look like frosted glass in minutes. Frosted films with embossed patterns. Contemporary and period designs suitable for all types of properties. Reflective finish ideal for daytime privacy whilst being able to see out. Art Nouveau, Art Deco and Victorian designs to choose from. 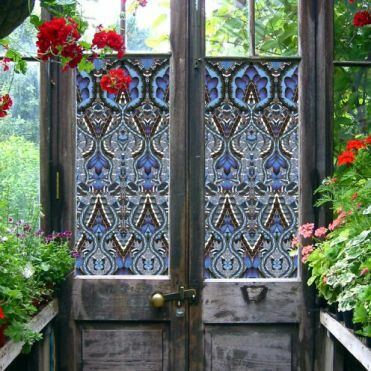 Designs to add the wow factor to your windows and doors. Added privacy whilst still being able to see out. Easy on, easy off privacy window films. Make glass opaque. Black or white, adhesive or cling. Ideal to make your glass opaque and add colour to your interior scheme. Add privacy and avoid accidental collision with glass partitions. There are several ways to make your glass windows and doors more private, using smart looking and easy to apply window film products, which won't break the bank. The main question is how much privacy do you really need, where and when? We'll try to answer all your questions. The best option by far is a film that will cover the whole pane or part of the pane depending on the height to which you require privacy. Frosted Window Film is an ideal solution as it can be applied directly to the existing glass, and makes it opaque just like frosted or etched glass. We have a wide range of frosted films which can be ordered by the meter or cut to size. Installation couldn't be easier, using soapy water and the application tool that we supply with every order. 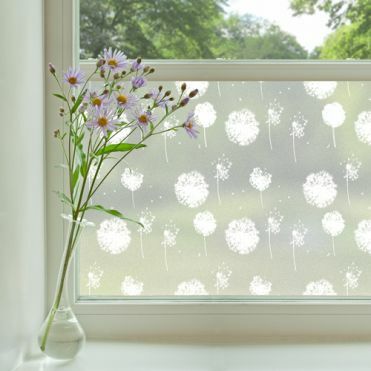 If you're after something a bit more personalised we also have a range of Decorative Window Film which is frosted film embossed with various patterns ranging from flowers, blossoms and classical patterns. 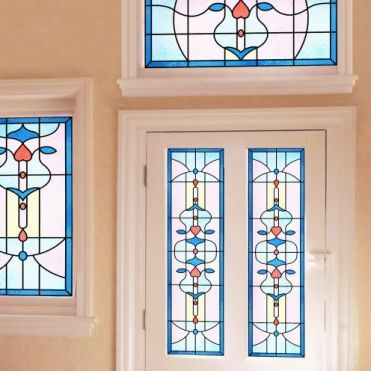 We also have a range of Patterned Window Film and Stained Glass Films with contemporary patterns and period designs from the Victorian, Art Deco and Art Nouveau eras. The designs are fully customisable and you can select to have the patterns in a colour of your choice, or in clear allowing you to see out. 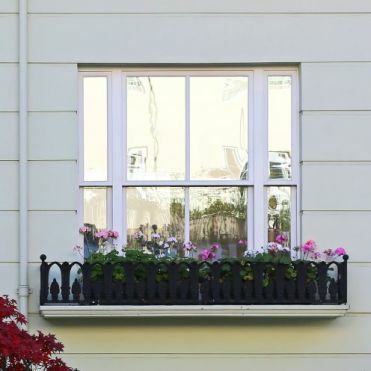 These designs are very popular and will add kerb appeal to your property in minutes. If you still need to see out through the film, then design from our range Partial Obscure Window Film might be a solution. The film is made of white patterns on a clear background allowing you to see through the gaps. 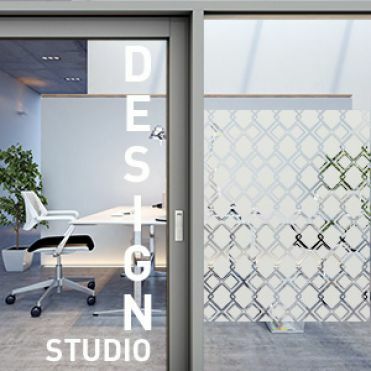 These are very popular for commercial interiors and ideal for glass partitions. 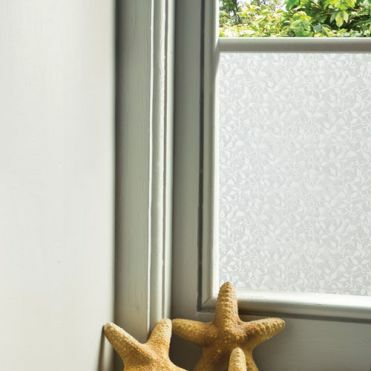 If it's a home solution you are looking for, then our Patterned Window Film collection is probably more appropriate. Just select the pattern in clear rather than in a coloured version. For a completely clear view through the glass, a Reflective or Mirror Window Film could be the ideal option. Designed for glare, heat and solar control, reflective films are made using a layer of metalised film. This makes the glass look like a mirror when viewed from outside. Widely used in office buildings, this film is ideal for daytime privacy only. There are however some limitations and drawbacks. Mainly, you will have to sacrifice some daylight, but also the film will not work on north-facing windows. When it comes to bathrooms, privacy is of the utmost importance and a frosted or patterned film would be ideal in most cases. However, if your bathroom is at close proximity to a neighbour's window, or on a ground floor, we would recommend our White Frosted Window Film which is more opaque and ideal for bathroom windows or doors. The other way to achieve privacy is by applying a Coloured Vinyl Window Film or a Blackout Window Film. These are ideal for converting glass into opaque surfaces. However, they will also stop most of the light coming through. If you are looking for a temporary solution, or for a film that can be removed easily after a short period of time, we also have some static-cling products which as the name indicates will just cling to the glass using a static electrical charge. In the right conditions, they will stay on for years and can be removed in seconds making them ideal for rental properties. 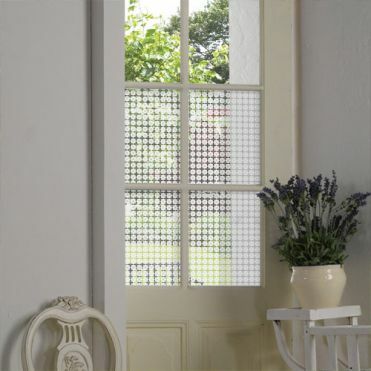 For privacy, we have a range of frosted, patterned, black and white Static Cling Window Film.